In the distant wake of the Trojan War, Odysseus, king of Ithaca, returned home in a journey of the most circuitous sort. Famed for his cunning, as exemplified by the Trojan Horse, and for his blinding of a certain Cyclops named Polyphemus, he navigated myriad obstacles in his ten-year trip. These included the stupor-inducing Lotus-Eaters, the giant, cannibalistic Laestrygonians, the six-headed Scylla, and the whirlpool Charybdis. The seas were not always rough for the Ithacan, however; Odysseus also earned the affections of the nymphs Calypso and Circe, minor female deities of the Greek variety. Musical Fidelity’s M1DAC digital-to-analog converter, like most currently available DACs, aspires to deliver a presentation similar to the Sirens’, minus the death, of course. Retailing for $749 USD, the British DAC is a 7.5-pound affair whose front face contains a power button, input select button, and assorted LEDs to indicate the incoming sample rate and which input is engaged. Somewhat annoyingly, each time the DAC is turned on, 11 of the 12 LEDs on the front panel flicker one at a time before the unit begins to function. Clever the first time around, cliché the 30th. Measuring 8.6”W x 4”H x 12”D, the M1DAC is larger in every dimension than my reference DAC, Benchmark’s DAC1 USB, but has a similar array of connections at the rear, with TosLink and asynchronous USB inputs (the Benchmark’s USB input is adaptive) accepting signals of up to 24-bit/96kHz resolution, as well as coaxial and AES inputs accepting up to 24/192. Singled-ended and balanced outputs finish things off. The M1DAC I received, and the one currently on sale, is actually a revision of the version released in 2010, and identical to it in all respects save the 24/96 asynchronous USB input (up from 16/48), and a proprietary power supply purported to be quieter and faster than the original. Like most supplies used in Musical Fidelity products, this one is choke regulated. Chokes are a series of coils that run in series to act as a high-frequency filter, which supposedly “cleans” the sound by excising high-frequency spuriae. A pair of 24/192, dual-differential Burr-Brown chips convert digital to analog, with a claimed signal/noise ratio in excess of 119dB, and total harmonic distortion of less than 0.003%. While I made sure to provide the M1DAC with several weeks of break-in, I heard no change in character or sound quality over this time; the DAC appeared to be on song from the day I received it. My system consists of Krell KAV-300il and Musical Fidelity M6 500i integrated amplifiers, Mirage OMD-28 omnidirectional speakers, and the Benchmark DAC1 USB. Cables from Dynamique and Nordost wire everything together, with speaker, analog interconnects, power, and USB cables, along with DH Labs’ new Silver Sonic USB cable. My source was my Apple MacBook Pro, playing Apple Lossless files through iTunes and 24/96 recordings through Songbird. Of the M1DAC’s inputs, I made use of the TosLink (via an Apple Airport Express, which is limited to 16/44.1) and USB. It would stand to reason that many high-end manufacturers aim for sonic neutrality in their products. If the primary aim is not to remain utterly faithful to a recording, why bother? When I spoke with John Quick of Tempo Sales, Musical Fidelity’s US distributor, he told me that founder Antony Michaelson began designing MF’s first products from a purely subjective vantage point. 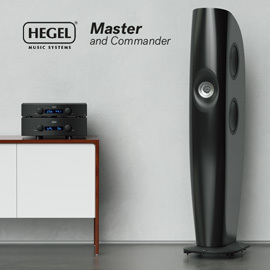 He conceded that Musical Fidelity does not design its products for absolute neutrality, but rather to marry a warmer, more musical character with excellent technical performance. The clue, apparently, is in the company’s name . . . 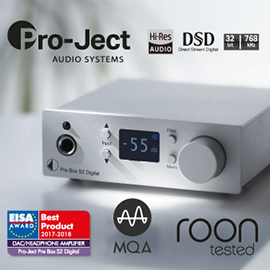 In theory, I would normally take issue with such a design philosophy, but within minutes of plugging the M1DAC into my system, a process that took no more than 60 seconds, my preconceptions disappeared. While my Benchmark DAC is ruthlessly resolving, it is something of a cool customer, with its tonality leaning toward the dry and the spare. The M1DAC, on the other hand, offered a far more engaging account of my music collection. 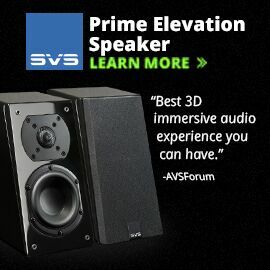 Voices became noticeably fuller, rounder, three-dimensional, and more enjoyable. Likewise with instruments, and to such a degree that the same recordings through my Benchmark sounded nigh on icy. Moby’s Everything Is Wrong (16/44.1 ALAC, Elektra) offered a solid glimpse into the M1DAC’s qualities, with the female voices in “Into the Blue” having a weight and a silky liquidity that were difficult not to appreciate. This had the effect of adding the right amount of much-needed warmth to this recording, an area in which my system frequently falls short. The extent of this was a pleasant surprise. While past Musical Fidelity DACs have included a vacuum tube to accomplish this task, none was needed in the M1DAC; weighty and warm never veered into the territory of rich and lush. Timbral “rightness” was very much in abundance. So, too, with Moby’s later, more popular album Play (16/44.1 ALAC, Mute), most of whose songs sound as if sampled from an old reel-to-reel recording. The M1DAC preserved the old-school feel of the recordings, yet kindly restrained itself from going further. The sample in Moby’s “Natural Blues” of Vera Hall’s “Trouble So Hard,” from 1937, provided a perfect example of the M1DAC’s successful balancing act in this regard. With such an old recording, it would be easy to turn Hall’s voice into a cloying mess, but the M1DAC did the Alabaman the utmost justice, providing a satisfying performance in the process. To evaluate equipment, I tend to prefer using older recordings, usually those born before Pro Tools and dynamic compression came into vogue. Alphaville’s 1984 album Forever Young (16/44.1 ALAC, Atlantic), for example, sounded solid with the M1DAC minding the D/A conversion. The way lead singer Marian Gold’s voice interacts with and reverberates in the recording space in “A Victory of Love” stands in contrast to more current sterile and filtered recordings. Imaging in this track is commendable, with Gold’s voice full-bodied and precise, recessed in the soundstage, and resounding naturally in the 1980s recording studio. The recording had extension somewhat beyond my front wall with the M1DAC, and laterally to the outer edges of my omnidirectional speakers -- painting a vast picture, to be sure, but one with soft delineation. This sort of roundness to the sound was a quality I think might appeal to many listeners, but those looking for a DAC to be as resolving as possible may not find their match in the M1DAC. The same can be said of its soundstaging abilities, which were very good without pushing the boundaries of what to expect from a sub-$1000 DAC. The M1DAC seemed content to sacrifice the last few ounces of resolution and inches of recording space for a slightly softer sound that was kinder on the ears over the long run. While this did not favor larger orchestral recordings, it worked swimmingly with Sarah McLachlan’s “Black & White,” from her fourth album, Surfacing (16/44.1 ALAC, Arista). The sultry Canadian (a combination of adjective and noun I never thought I’d write) sounded delicious through the M1DAC. Her voice, along with the simple drum and hi-hat accompaniment, had the effect of conjuring in my mind a hated audio cliché: My equipment, due in part to the M1DAC, seemed to “get out of the way” so that I could simply enjoy the music. I proceeded to listen to the album from beginning to end . . .
Finishing off my listening with some high-resolution recordings from the 2L-TWBAS 2012 Sampler (24/88.2 FLAC, 2L and SoundStageRecordings.com), I found the M1DAC to be more than competent. From the Gregorian-chant style of Crux Fidelis, by the Consortium Vocale, to the George Winston-esque piano solo in Ola Gjeilo’s “Dorisk,” the MF DAC was as mellifluous in the high-resolution domain as it was in “Red Book” Land. 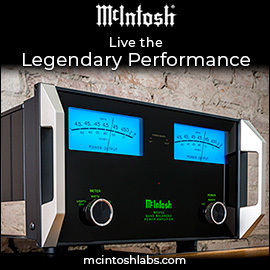 And when I partnered the M1DAC with Musical Fidelity’s own M6 500i integrated amp, with an absurd 500Wpc available into 8 ohms, the sound was effortlessly composed, and eminently listenable for hours at a time. Comparing the M1DAC with my Benchmark DAC should be indicative of the Musical Fidelity’s quality. 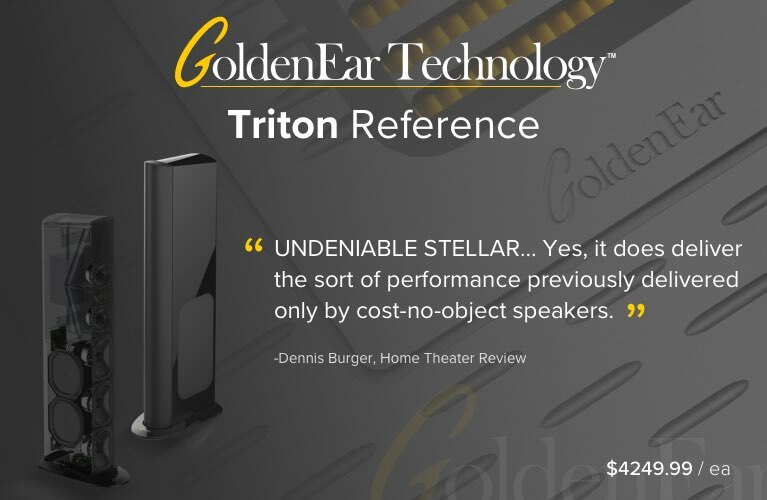 The Benchmark is highly regarded among audiophiles for offering properly high-end performance: resolution in spades, expansive soundstaging, and near-absolute transparency. My USB version retails for $1295, has all of the functionality of the M1DAC plus a volume control and headphone amplifier, and allows owners to adjust its internal settings to suit their respective needs. But, as mentioned above, the Benchmark sounds a little clinical -- i.e., cool and slightly thin -- which can be a bit grating to some listeners. Antony Michaelson’s design philosophy, then, is surely at odds with the Benchmark’s roots in the recording studio. Despite this, however, I found that the two DACs rather complemented one another. The M1DAC goes without added functionality to focus on an effectively more pleasing sound. Transients and voices suffered ever so little, as did frequency extension at the very extremes of the audioband, with the deepest bass and the highest highs sounding a bit less tuneful and controlled than everything between them. Like the metaphorical girl next door, however, these somewhat superficial sacrifices were more than made up for by an endearing personality that many listeners would be happy to live with for the long term. In contrast, the Benchmark has been a stone-cold fox -- revelatory at first, but seemingly more insipid the more I use it to explore my music collection. Its sheer clarity is not found in other DACs at around the same price, and I undoubtedly hear more from my favorite records through the Benchmark than through the M1DAC. But that doesn’t necessarily mean I enjoy them more. At $749 for the Musical Fidelity and $1295 for the Benchmark, however, the M1DAC’s appeal becomes more apparent. For 60% of the DAC1’s price, the M1DAC has a lot to offer casual listeners and audiophiles alike. The kind of sound I strive for embodies a great many qualities, and while no product is perfect, Musical Fidelity’s M1DAC is, like the Sirens, intoxicating. The M1DAC offers a compelling amalgam of connectivity, technical performance, and musicality. A multitude of D/A converters are available for less than $1000, and while many of them are adept, the pedigree and dulcet nature behind the M1DAC’s faceplate make it a worthy contender for the budget conscious.